Find out more about Six13, and how you can pick up a copy of our new album, Vol. 5: BELIEVE, along with some cool extra stuff, perks and personal gifts! 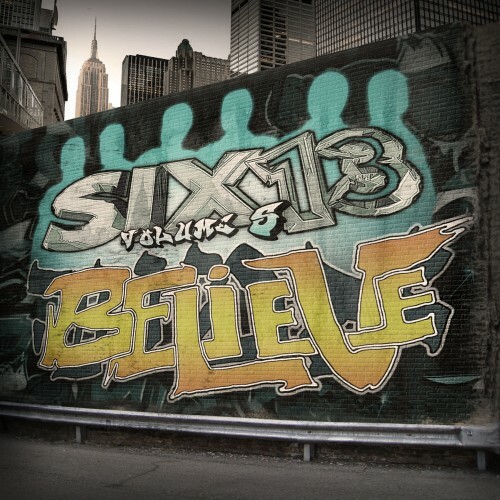 Now, Six13 kicks their mission to connect Jews around the globe with their heritage through music into even higher gear with the release of their new album, BELIEVE. On this album, you can expect more of the quality Six13 has come to be known for — virtuosic singing, impeccable arrangements and tight harmonies, in-your-face thumping bass and vocal percussion, and infectiously danceable up-tempo tracks interspersed among heartfelt, moving ballads. But as always, the boys never settle for the “same old same old”. The songwriting takes a decidedly dramatic turn on this record, with soulful, ethereal cuts like “Shema” and “Mah Rabu” true to the central theme of “EMUNAH” that will leave the listener with goosebumps. On the other end of the spectrum are comedic gems, both in the form of hilarious originals like “Chanukah Rights” and the group’s trademark pop parodies, like “Good Shabbos” and “Brei Brei Brei”. This one’s got something for everyone.